More than 2,000 runners will take place in the Waterside Half Marathon. Derry City and Strabane District Council has announced traffic and travel information ahead of the 2018 Waterisde Half Marathon. The race start is at the usual time of 10pm am at Ebrington Square with the finish at St Columb’s Park Running Track between 11.05am and 1.30pm and all those attending as well as members of the public who will be in the vicinity of the race route are being urged to familiarise themselves with the arrangements in place. To ensure the safety of everyone attending and other road users a number of temporary traffic restrictions will be in place for a short time, these have been carefully selected in consultation with the PSNI and Department of Infrastructure and Roads to minimise delay and inconvenience for residents and traffic. The route travels along the following roads and traffic may be affected: St Columb’s Road, Limavady Road, Waterfoot Park, The Gransha Grounds, the A2 Dual Carriageway (southbound), Foyle Bridge (eastbound), Lower Culmore Road, Bay Road, Queens Quay, Foyle Embankment, Foyle Road (southbound to junction at Bishop Street), Lower Deck Craigavon Bridge. Extensive sections of the Council greenways will also be used in the Waterfoot Park and Gransha area, Bay Road Park, Fort George to Council offices, Peace Bridge to Craigavon Bridge and from King Street to St Columb’s Park Running Track. Mayor of Derry City and Strabane District Council, Councillor John Boyle, urged the public to familiarise themselves with the arrangements to ensure the event runs smoothly. “The Waterside Half Marathon goes from strength to strength each year and has developed a reputation as a well organised and efficiently managed race to take part in,” said the Mayor. “It is one of the largest scale events hosted by Derry City and Strabane District Council and with a record field expected to take part we would appreciate the co-operation of the public in familiarising themselves with the traffic and travel advice to ensure it is a memorable day for everyone involved. While some disruption is inevitable, in order to avoid delays the public are being asked to heed some specific advice on the day. If possible, avoid travelling along the affected route during the event. If you must travel during the event, please follow the signed diversions and allow some extra time for your journey. Police and race marshals will be present to provide advice. If you live along one of the roads on the route, please help by parking your vehicle off the road for the duration of the race. If you live off one of the main roads affected, please be careful exiting and co-operate with the police and marshals. If you need to use the greenway areas, if possible please avoid the peak period for runners (approximately from 10.10am – 1pm). As the event is on a Sunday morning it may be prudent to allow a little extra time to reach church services on time. Spectators are recommended to park in cityside car parks including Foyleside or Quayside Shopping Centre as car parks in the Waterside are being reserved for runners. The Peace Bridge will be closed to pedestrians between 10.30 and 13:00 so anyone making their way to St Columb’s Park for the Junior Athletics or race finish by foot should allow extra time to get there. As well as the Waterside Half Marathon, the Carnival of Colours will take place at 1pm on Sunday in St Columb’s Park and organisers of both events are working closely so that they complement each other and traffic disruption is kept to a minimum to ensure and make it a day out that all the family can enjoy. Kings Link: One lane closure from 08:00 to 10:30. St Columb’s Road: Full closure from 08:00 to 10:30 - Single Lane Closure from 10:30 – 14:00 for traffic travelling in from Limavady Road. Access will be maintained for local residents and St Columb’s Park House allotment holders. Limavady Road: Single Lane closure for country bound vehicles from Dale’s Corner to Caw Roundabout including King Street slip road for Limavady Road closed from 08:00-11:00. Diversion will be sign posted via Glendermott Road, Dungiven Road, Glenshane Road, Altnagelvin Roundabout, Crescent Link, Clooney Road and vice versa. Queen’s Quay: Single Lane Closure from Queen Quay Roundabout to Harbour Roundabout in southerly direction from 08:00 to 15:00. Two way traffic will be accommodated through closure. Foyle Embankment: Lane one closure from Harbour Roundabout to Foyleside Roundabout in southerly direction from 08:00 to 15:00. Foyle Road: From Foyleside Roundabout to Bishop Street Without for Country bound traffic only from 08:00 –15:00, traffic will be diverted via John Street, Abercorn Road and Bishop Street Without. Craigavon Bridge Lower Deck: Will be closed to city bound traffic from 08:00 to 12:45. From 12:45 until 15:00 traffic will only be allowed to make a right turn towards city when crossing bridge. 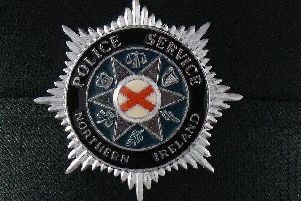 Traffic will be diverted towards upper deck of Craigavon Bridge. Any further updates will be posted at www.derrystrabane.com/whm.